LG has officially announced the LG Class in the Korean market earlier today, settling rumors surrounding the mid-range smartphone. The LG Class features a 1,280 x 720 pixel screen, quad-core Qualcomm Snapdragon 410 processor, 2GB of RAM, 16GB of internal storage, and a MicroSD card with the potential for 2TB of expandable storage. The cameras are the real wow factor on the smartphone, with a 13-megapixel rear sensor and 8-megapixel front facing sensor — perfect for selfies. The design is an interesting turnaround for LG, deciding against the removable back. LG must feel confident that the metallic unibody will resonate well with South Korean buyers, considering the flagship LG G4 still retains the removable back. Some users will undoubtedly be upset by the move to a unibody design, especially because it has a small 2,050mAh battery. Other notable features include 4G LTE support, NFC and the on/off, volume back buttons. Sadly, dual-band, high-speed Wi-Fi AC is not available on the LG Class, meaning families in crowded homes with dozens of devices taking up bandwidth might scoop up the wireless space the phone needs. The LG Class is priced at around $335 — steep compared to the Moto G, OneTouch Idol 3, OnePlus One and other available mid-range phones. It will run Android 5.1 Lollipop at launch. LG is adding some of its camera software features from the LG G4, including Beauty Shot and Gesture Interval Shot. 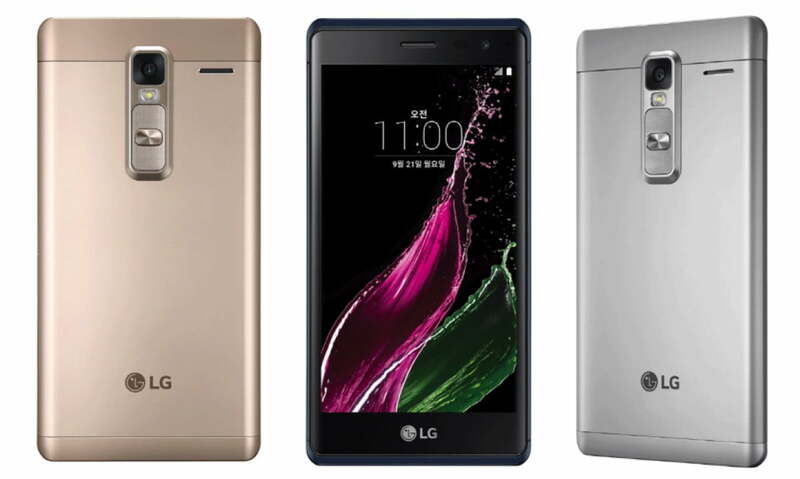 SK Telecom, LG U+ and KT started sales of the LG Class in South Korea today. No word on when or if the LG Class will launch in countries outside of Korea. The phone is available in three colors: Blue Black, Silver, and Gold. White will be available at a later date. LG has two events upcoming before the end of the year, which is where we expect the more premium smartphones for the global market will be announced. The Nexus 5 is another potential LG device coming later this year, one of the first to run on Android Marshmallow, alongside Huawei’s Nexus 6. Next page: All of the rumors leading up to the LG Class’ official launch!